The stock opened with a loss of 2.07%. It has been falling for the last three days and lost 6.08% during the period. The stock which closed at 887.40 level yesterday fell 5.74% intra day to 836.40 level in today's trade. The Titan Company stock fell in trade today after the jeweller firm said it expects to post muted growth in the first quarter pulled down by decline in demand for gold. At 15:17 pm, the stock was trading 5.78% or 51 points lower to 836.10 level on BSE. The stock opened with a loss of 2.07%. It has been falling for the last three days and lost 6.08% during the period. The stock which closed at 887.40 level yesterday fell 5.74% intra day to 836.40 level in today's trade. It stock closed 5.58% lower at 837.90 on the BSE today. The stock has clocked 58.51% gains during the last one year. The stock is down nearly 1.50% since the beginning of this year. 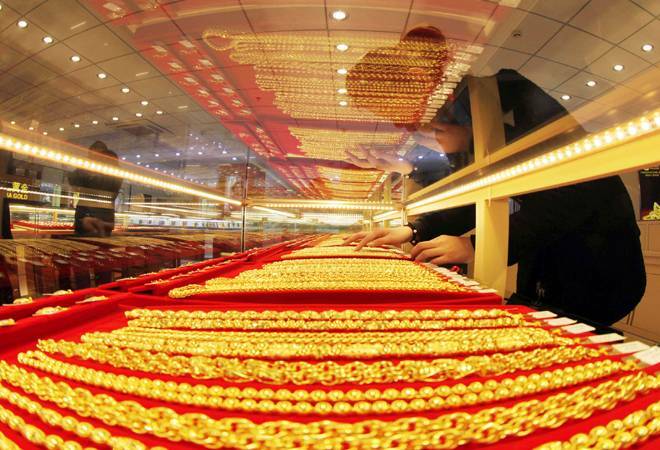 Titan in a statement said, "The jewellery industry has been going through a significant soft patch in the first five months of calendar year 2018 as evidenced in the decline of imports of gold by 39% in volume terms. This is primarily led by decline in demand for bullion and to some extent by weak demand for adornment during the period. Channel checks have also corroborated the view that, while Akshaya Tritiya itself had decent sales, the remainder of quarter witnessed a significant decline compared to the previous year. The weakness in the consumer sentiment has had an impact on our sales also leading to recording of sales below our internal targets." Macquarie analysts believe inauspicious period based on the Hindu calendar in Q1 may be a reason for muted sales and expect H2 to be significantly stronger. They maintain "outperform" rating with price target of Rs 1,240. Motilal Oswal on July 4 gave a buy rating on the stock when it was trading at 889 level. The brokerage sees the stock rising to 1130 level in an year. Narnolia Financial Advisors on July 2 gave a buy rating on the stock when it was trading at 889.83 level. The brokerage sees the stock rising to 1050 level in an year. The Tata Group firm reported a 70.86 per cent jump in consolidated net profit at Rs 304.41 crore for the fourth quarter ended March 31. The company had reported a net profit of Rs 178.16 crore in the same quarter of 2016-17. Titan's total income stood at Rs 4,125.69 crore during the quarter under review. It was Rs 3,692.82 crore in the year-ago period.